Are you confused which Color Combination You Need To Order for your friend & which site is best for online flower delivery in Chandigarh? Choose From Best florist in Chandigarh Market! Blooms are introduced as blessing in a pack of events like weddings, celebrations, funerals and commemorations. Each conclusion is communicated in some shape by these delicate blossoms. While blooms talented on particular events depend for the most part on the season in which the event falls, eventually it is the identity of the recipient that ought to be the central figure the decision of the blossom blessing. Best Surprises for any occasion ! 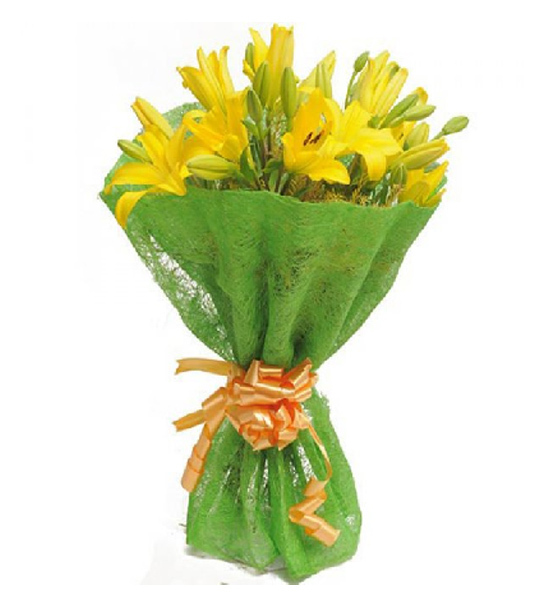 Choose best florist for online flower delivery in Chandigarh. Astound is the key here. Once more, occasional blooms are the best wager. Choices incorporate joining with gourmet or natural product wicker bin. Concerning gifting blooms to companions and relatives on the event of their commemoration, take a stab at something that fits in with their identities. Whatever it is, make a point to add an individual touch to the blossoms. Fill your loved one’s day with a bouquet of mixed roses. 10 Mix Color Roses is attractive classic selection, mix roses are the superb gift for a friend or Loved one. It has exclusive meaning for every color Red roses that means love and courage to yellow roses that means Thank you and Pink roses that means joy. There is a message appropriate for every occasion so, send your love, joy and emotions with a colorful roses bouquet. Hand Bunch of 10 Lilies wrapped in beautiful cellophane packing. Healthy wishes a bundle of 12 pink roses bouquet is an awesome bunch made of pink roses which makes a flawless image of magnificence. The great game plan of 12 pink shading roses is truly an amazing bundle that will upgrade every snapshot of your exceptional one day with the assertion of your adoration and care. The pink roses bouquet remain for quiet and genuineness cherish; So it is the sweetest method for communicating one’s affection and great wishes. Pink Roses Bouquet with Special Paper Packing. Red Roses with Special Paper Packing and Half Kg Chocolate Truffle Cake. Beautiful Bouquet of 15 White Roses wrapped with normal packing. Yellow Lilies Bouquet with Paper Packing. 12+ Mix Flowers Basket arrangement. Mix Color Roses Hand Bunch. Beautiful Bouquet of 15 Red Roses wrapped with normal packing. Special Red Roses hand Bunch wrapped with Special Jute or Net Packing. A Red Roses Bouquet is a declaration of affection. Red Roses Bouquet is for the most part show profound emotions, similar to love or craving. Red Roses Bouquet can likewise be utilized to show appreciation, profound respect, or commitment. The quantity of this Red Roses given has an uncommon importance also. 15 Red Roses Bouquet is the most prominent number to give; it signifies “Be mine” and “I Love you”. Beautiful Bouquet of 20 Pink Roses wrapped with normal packing. Hand Bunch of 20 Yellow Roses. RED ROSES Hand Bunch with Special Packing. 25+ Pink Carnations Basket Arrangement.